Great news has reached us from ASCEL, a Spanish association for the conservation of the Iberian wolf. 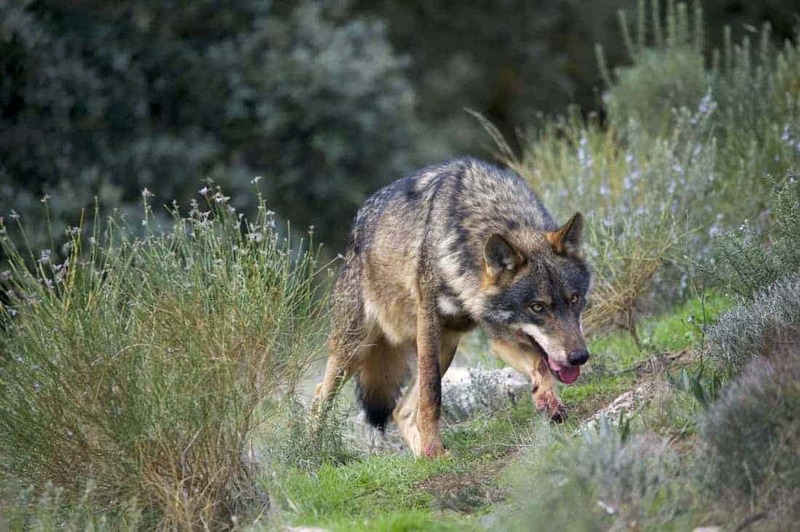 For the past years, hunters could legally kill Iberian wolves above the river Duero. On top of the hundreds of dead wolves, poachers also killed many more individuals. One of the most important regions where hunters could kill wolves is Castilla y León. Thanks to many lobbying efforts, the Council of Castilla y León now banned the scheduled hunt for 2018-2019. According to the information published by ASCEL, the Council received and Order from the Spanish Ministry of Development and Environment, which led to the suspension of wolf hunting in Castilla y León. This means that hunters cannot hunt the scheduled 143 wolves this season. Any action that involves killing of wolves becomes now an illegal act. Earlier, the Council submitted arguments to the Superior Court of Justice from Castilla y León to continue the ‘precautionary measures’. However, the Superior Court of Justice dismissed these arguments and agrees with the requested measures from ASCEL. This means that hunting wolves from the season 2016-2017, 2017-2018 and 2018-2019 became banned. Although the 300 wolves killed in previous hunting seasons will not be brought back to life with this decision, it is a step in the right direction. The Iberian wolf is a subspecies of the wolf in Europe, living on the Iberian peninsula. Despite being listed as ‘endangered’ on the Red List of Spanish vertebrates, the Red List of Spanish mammals classified them as ‘low risk’. The Spanish government determined hunting quotas on official population estimates. Many researchers and experts questioned the reliability of these counts. In some cases, official estimates could be 30 to 50% higher than the actual situation. This meant that hunting quotas were decreasing the wolf population size to a critical low number. In addition to the legal killings, local poachers took many wolves for their account. A recent study confirmed that allowing legal culling actually increases poaching. No, ASCEL reports, as the Council of Castilla y León continues to dedicate effort to kill wolves. The association expresses their concern about the public resources that the Council uses, as well as irrational decisions that it makes. These actions are against legislation on national and international scale. Its seems like the situation is a political game to some. Currently, short-term profit of killing wolves is regarded as a better solution than long-term benefits from a balanced ecosystem. ASCEL will continue their collaboration with other organisations to lobby for complete banning of wolf culling. In Spain, the countries of the world should protect a wolf throughout the life, too. It contributes to a wolf, and neither a human being nor other animals and plants must forget thanks in being lived. A human being must not be a top predator. I am very much against the slaughter of the wolf.